NPQ is fond of repeating that when one nonprofit disgraces itself, the consequences are often visited on others. That is certainly the case with two nonprofits around Goodwill Omaha, which has been subject to a searing investigation of its pay and business practices over the last week. Henry Cordes reported the story in the Omaha World-Herald. As we covered yesterday in our nonprofit newswire, he exposed the fact that CEO Frank McGree made a cool $933,444 in 2014, which is not only out of scale with other local agencies but also with other Goodwill operations. This was while more than 100 workers with disabilities were being paid a sub-minimum wage under Section 14(c) of the Fair Labor Standards Act, a provision which has fallen out of favor with the nation’s disabilities advocates. To be fair, about $519,000 of that $933,000 was in a retention bonus, but even so, McGree’s compensation is higher than many imagined, and that includes the members of the Douglas County Board of County Commissioners who took McGree’s testimony in May when the issues of tax exemptions for thrift stores run by nonprofits came up. Also present to testify were the heads of the Salvation Army and the local Habitat for Humanity, both of which also run thrift stores. All three said they voted for the tax exemptions in the belief that the money saved would be devoted to providing jobs and training to disabled workers, but hearing that McGree’s 2014 compensation was more than double the average paid to the leaders of Omaha’s most prominent local social service nonprofits and that Goodwill Omaha was far and away the highest in the percentage of budget it devoted to CEO pay and the rate at which it paid six-figure salaries to employees made them look at the property tax exemptions through new eyes. The Assessor’s Office estimates that the annual tax bill on Goodwill’s five stores it owns in Omaha would total $280,000 were the exemptions to be cut. Douglas County Assessor/Register of Deeds Diane Battiato has already appealed to the state to overturn the County Board decision on thrift store exemptions for Goodwill—and the two other groups as well—because, in her judgment, Nebraska state law calls for taxing such establishments. The World-Herald’s disclosures, she added, may raise additional grounds for rejecting at least Goodwill’s exemption in particular because it may be arguable that profits derived from the property are being distributed to officers, members, or others, and thus the organization may be in violation of the regulations against private inurement for nonprofits. The improbably named Mike Goodwillie, who is the compliance officer in Battiato’s office, says the situation clearly calls that into question. As NPQ readers may recall, the question of salary also figured in the Morristown Medical Center property exemption case in New Jersey, with the judge citing CEO salary in his decision. Nebraska state tax regulations provide that it is the use of the property that renders it exempt or nonexempt, and thrift stores are retail establishments. 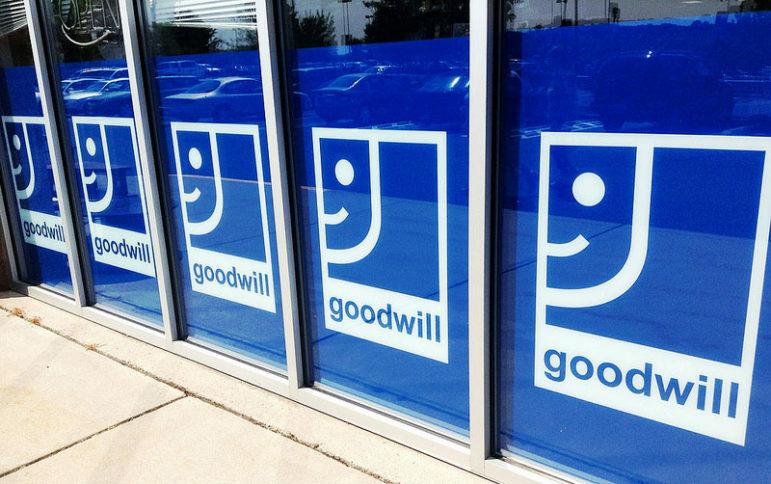 Arguments have been made that the Salvation Army and Goodwill stores were central to job training programs, but the assessor has found that the properties were more stores than job-training sites; in Goodwill’s case, only 28 of the 145 employees were trainees. The ammunition that Goodwill has handed to the tax assessors may or may not affect the other two groups whose pay scales are significantly lower, with Habitat’s chief executive’s compensation at $145,000 in 2014 and the Salvation Army leader receiving $89,000. No one spoke better to the charity’s obligations to the public during the County Board hearing than Frank McGree himself. He was asked by Boyle to address a rumor he’s sometimes heard that Goodwill is a private company. At a Portland, Oregon city council meeting, a 73-year-old folk singer chose to make use of his three minutes of public comment time in an original way.